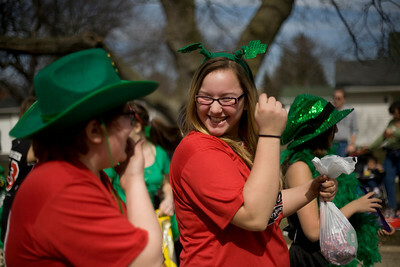 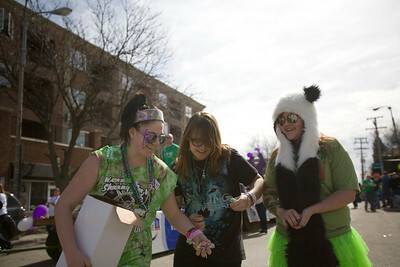 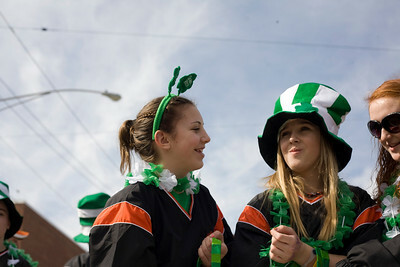 Lance Booth - lbooth@shawmedia.com Keelia Riley, right, 12 laughs with Mary Kate Murgatroyd, both of McHenry, during the 3rd annual St. Patrick's Day Parade in McHenry on Sunday, March 11, 2012. 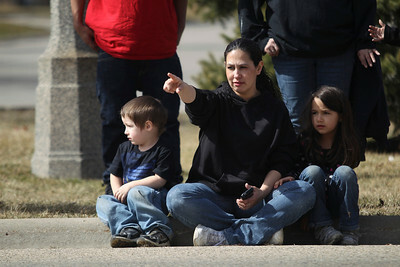 Locals from throughout McHenry watched on the sides of the streets. 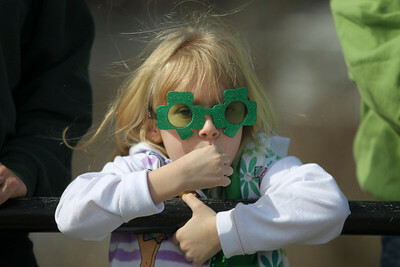 The Rotary Club of McHenry-Sunrise sponsored the event.